Thanks to technology, telecommuting, and the internet, office life has been transformed. Remote staffers work from anywhere in the world, your workspace has expanded into the cloud, and contractors contribute their unique expertise to your organization. While many of these changes make business easier to conduct than ever, they present unique challenges during tax season. A New York CPA with thorough knowledge of state and federal law can help you manage the new complexity of your organization’s online activity. Business you conduct all or partially online is often paperless, but paperless records are just as important to maintain. Employers must send out W-2 forms to employees and provide 1099 forms for contractors, but the documentation doesn’t end there. Payroll tax records, retirement plan sponsor documentation, benefits, and the organization’s profits and losses are just a few of the records you must submit to the Internal Revenue Service. CPA services that are knowledgeable about the intersection of technology and finance are a must to ensure that all your paperwork is in order – even when records are paperless. Depending on how and where your business has sold products or services, you may need to show documentation of sales tax collected. Some states that did not collect taxes now do as of January 2017. Nexus regulations also apply, which means that you are responsible for collecting sales tax in other states if you have done a certain amount of business there, such as at tradeshows, in branch offices, or for warehouse storage. Your financial advisor can offer more specific guidance if you are unsure whether your business has established nexus in another state. Whether you work from home part of the time or on a regular basis, you may be eligible for deductions for a home office or storage there. To qualify, a home office must be used regularly, exclusively, and with precedence – that is, business must be conducted within the office itself for the majority of the time it is in use. Deductions for office supplies, equipment, education, travel, and telecommunications may also be available to you, but to ensure full compliance, work with a tax preparer who has experience with new regulations governing technology. 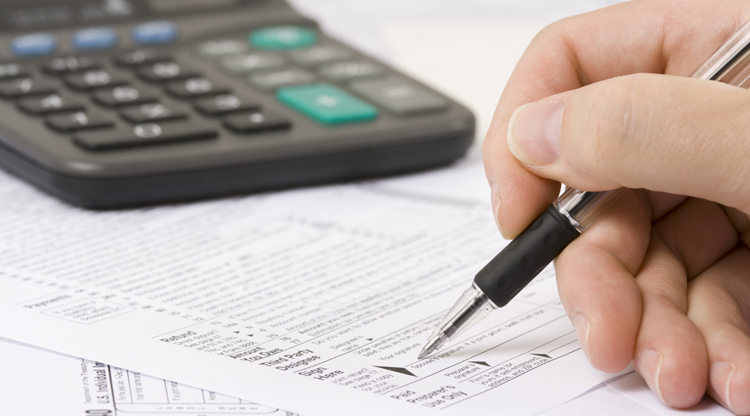 The tax preparation fee itself, like other essential business expenses, may also be deductible. Sometimes it becomes necessary to have more time to get your records together. You and your CPA can file an extension, most of which are granted automatically, at any time before April 17. An extension gives you and your accountant time to gather important documents, which may be especially important if you have recently acquired or sold your business. Your extension gives you another six months to file your taxes, but it does not give you additional time to pay. You may owe additional fees or penalties beyond the taxes you initially owed during the six-month extension period. Technology has freed business owners and their employees and contractors from the conventional office workday, but with that freedom has come increased complexity at tax time. Get the answers you need about tax preparation for online businesses, tax responsibilities for freelancers, and more before the April deadline. This entry was posted in CPA Services Blog, Tax Tips by sgadmin. Bookmark the permalink.